It's been so cold and wet these past few weeks that my poor little "squeakers" (hummingbirds) haven't been around much. Over the past 3 weeks, we've had exactly 4 days of sunshine with no rain. We're even still running our fireplace on chilly mornings and evenings. Any day now, I know I'll wake up and it will suddenly be 85°, hot, and humid as hell. But my squeakers will love it and the "hummer wars" will be back on in full force. I usually note in my garden journal when the hummingbirds arrive and leave each year. When they show up, I start making nectar for my feeders. 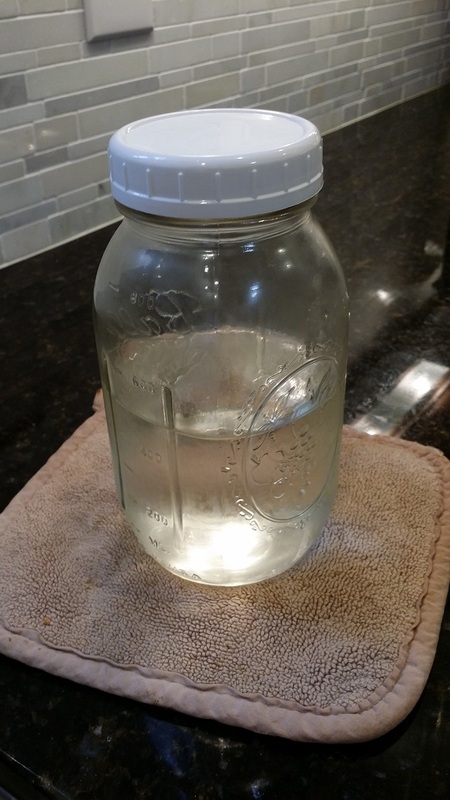 It's super easy to do and MUCH cheaper and healthier than purchasing store-bought, dyed nectar. 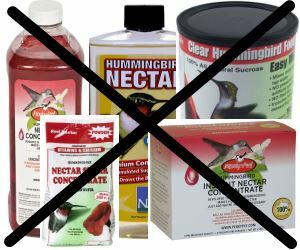 Incidentally, you should never add red food dye to hummingbird nectar, as it serves no purpose, often is petroleum-based, and is not metabolized by the hummingbirds, which could cause health problems. Not to mention, it's expensive! 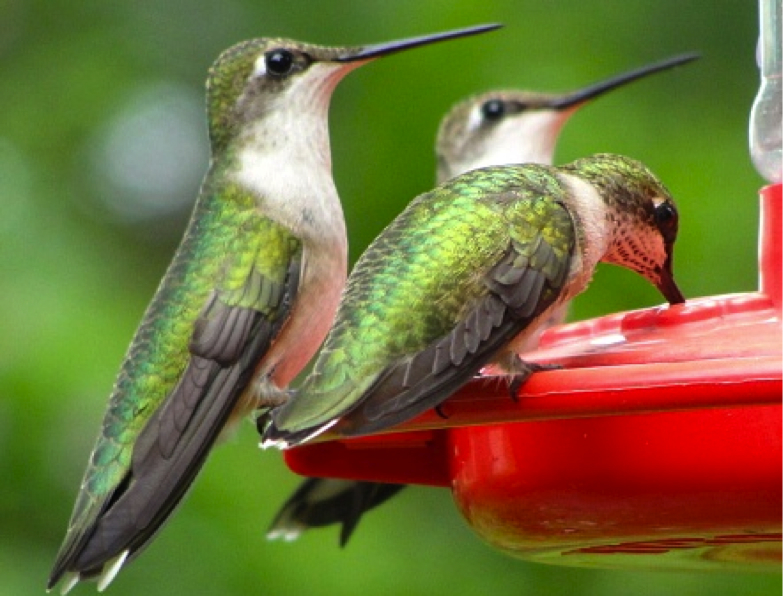 Hummingbird nectar is a simple 4-to-1 ratio of cooked water and sugar. I usually make a batch 1-2 times a week, depending on the weather, which is enough to fill one of my hummingbird feeders twice. Any amount that is not used is refrigerated for about a week and then it is tossed if not used. Important note: Hummingbird nectar should be changed-out regularly, depending on the outside temperature! If not changed regularly, the nectar will actually start to ferment, which can make the hummingbirds sick, or even kill them. The hotter is it outside, the more often the nectar should be changed. During peak summer temperatures, nectar should be changed-out every 2-3 days. 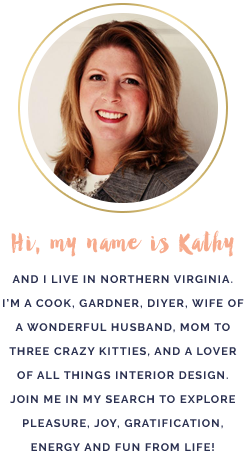 Also, rinse your hummingbird feeder out with hot water when changing nectar (don't use soap) to help control yeast and bacterial growth. 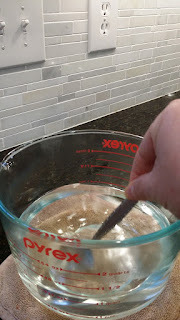 At the end of the season, thoroughly clean your hummingbird feeder out with a diluted bleach and water mixture. Fill a 6-8 cup measuring cup with water first, as this gives you a true measurement, then add the sugar. Give the sugar and water a light stir with a spoon. 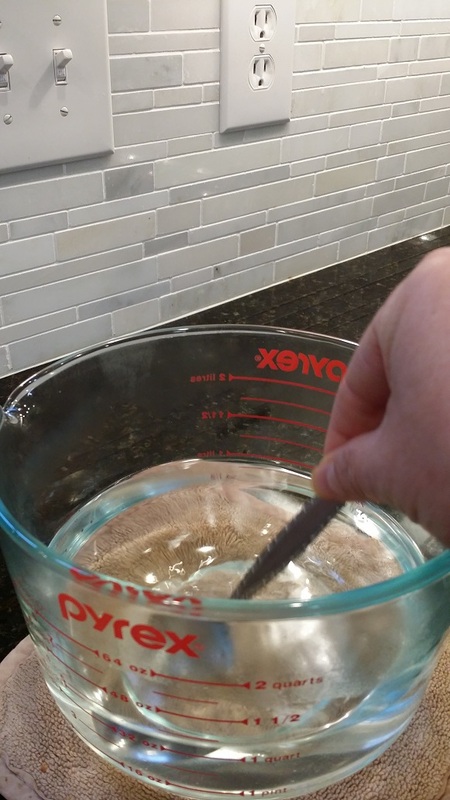 Place measuring cup in the microwave and heat for 5 minutes. 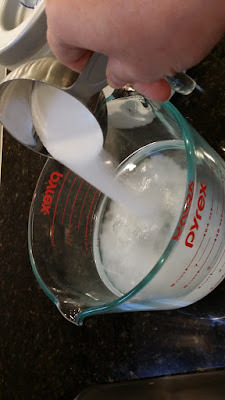 You don't need to boil the sugar/water mixture, but heat it enough to dissolve the sugar. 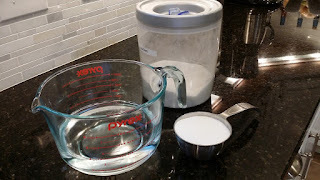 After 5 minutes, remove the measuring cup and stir until the sugar is dissolved and the water is clear. Cool completely before using and refrigerate leftover nectar for no more than a week. Refrigerated nectar should be brought back to room temperature before using.